4 arrested in Arab village of Kobar following deadly stabbing attack by resident of village. Rioters throw firebombs at IDF forces. Following the stabbing attack in the community of Adam last night, in which Yotam Ovadia was murdered and two other civilians were wounded, IDF, Israel Security Agency (Shabak), and Border Police operated in the village of Kobar, north of Jerusalem, from which the terrorist originated. As part of the operation, members of the terrorist's family were questioned, and their entry permits were suspended. In addition, the residence of the terrorist was mapped prior to its demolition, and four Palestinian Arabs were taken in for questioning. As part of the situation assessment that was held yesterday, IDF troops are conducting security checks in the entry and exit of the village. It was also decided that the entrance of workers to communities in the area will not be permitted today. During the operation, a violent riot of approximately 150 Arabs was instigated. The rioters hurled large rocks and firebombs and rolled burning tires at IDF troops, who responded with riot dispersal means. No injuries were reported. Throughout the night, security forces completed searches in the community of Adam. 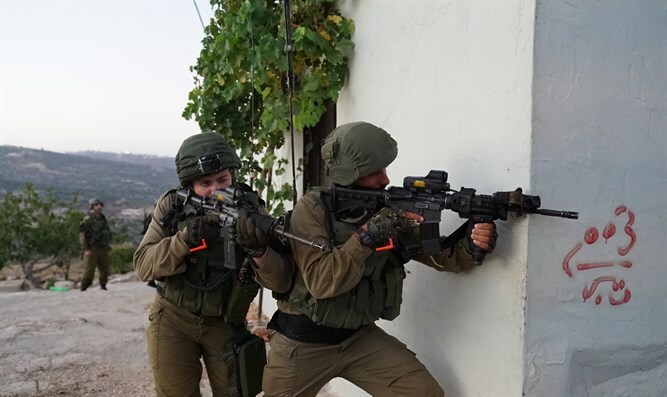 Following the event, IDF troops are reinforcing the defense of the communities. The IDF stated that security forces will continue to operate day and night to protect civilians in the area.